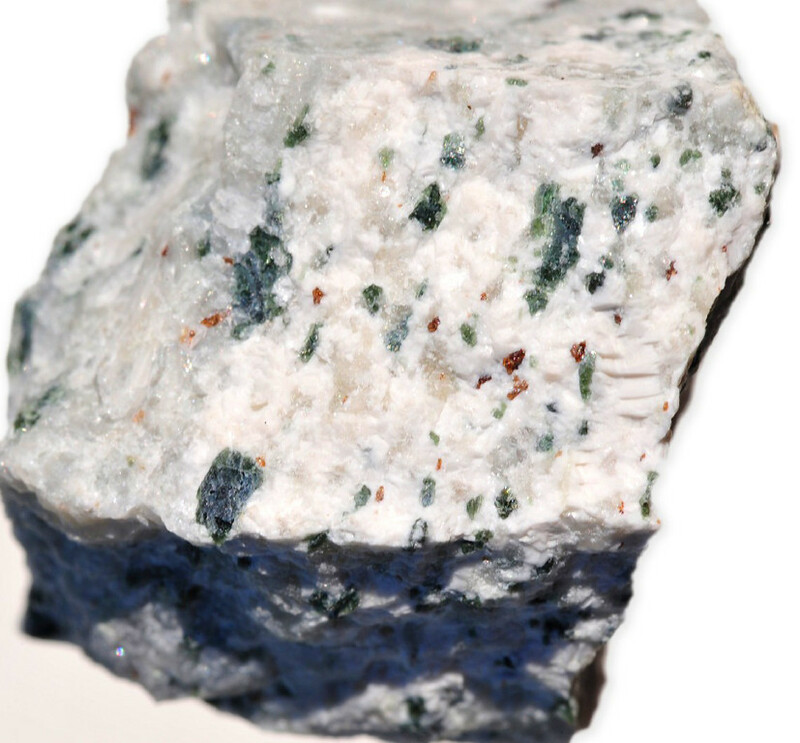 Apatite is the name for a group of phosphate minerals. This group includes hydroxyl-apatite, fluor-apatite (the most common variety) and chlor-apatite. 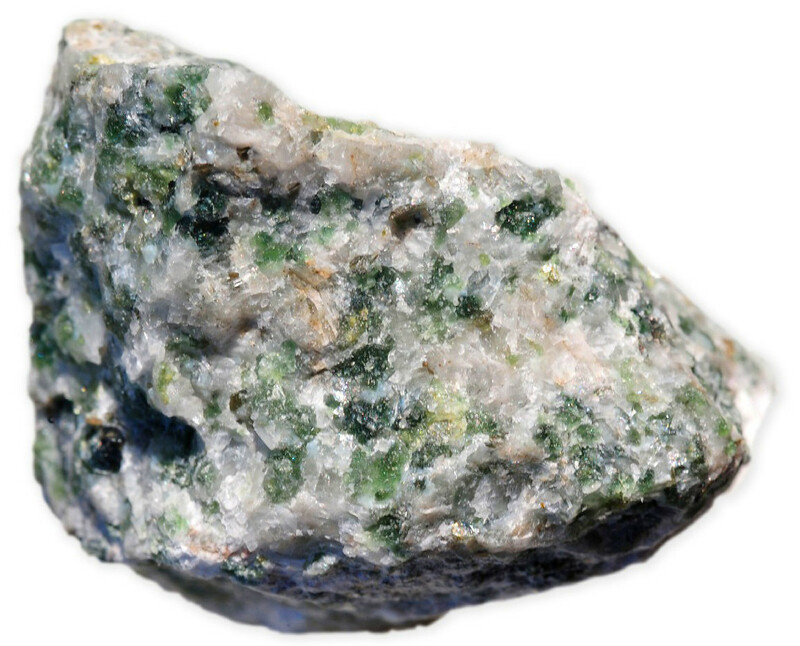 Apatite is an abundant mineral, found in many types of rock. However most gem-quality mineral is extremely rare and it is associated with pegmatites. Apatite was named by The German geologist Abraham Gottlob Werner in 1786. The gemstone gets its name from Greek apatein meaning "cheat" as it can be easily confused with several other precious gemstones. 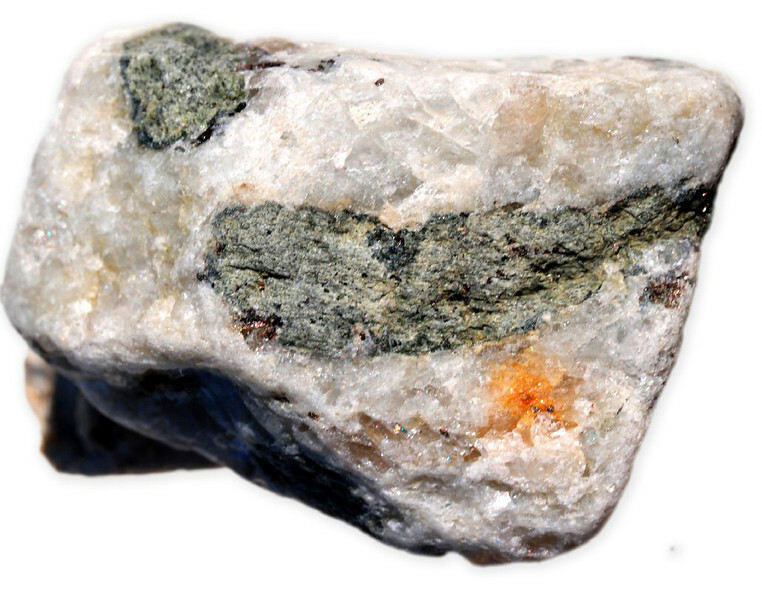 Apatite is usually found in blue, but it can be seen in brown, pink, yellow, green (asparagus is the trade name for a light green apatite variety), and a rare variety of violet. Due to having the same color, apatite can be confused with amblygonite, andalusite, brazilianite, precious ﻿beryl﻿, sphene, topaz and tourmaline. Fibrous blue apatite from Burma and Sri Lanka may be cut en cabochon to show cat's eye, Chatoyant stones are also found in Brazil, along with yellow, blue, and green varieties. Other locations include the Kola Peninsula (Russia), Canada, East Africa, Sweden, Spain, and Mexico. You can find our interactive map for gemstone of the world Here. 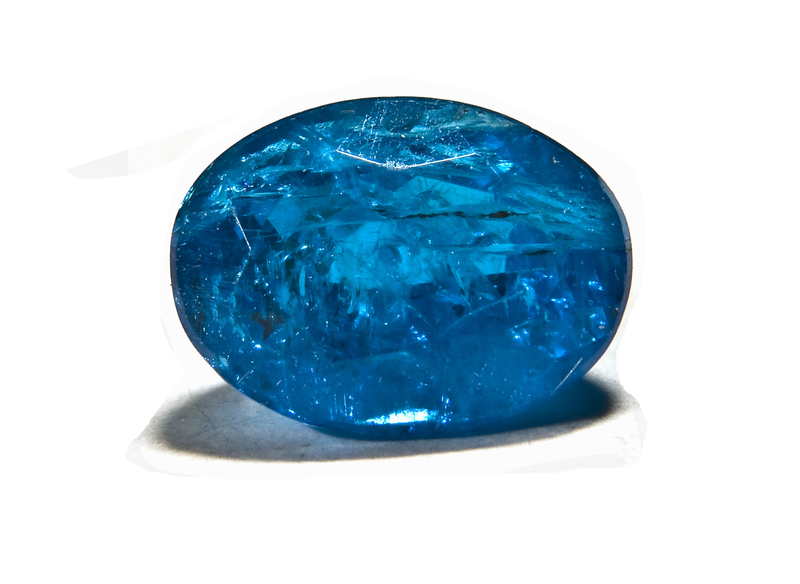 As apatite occurs in a wide variety of attractive colors and forms and it is a relatively soft mineral (5 on the Mohs scale) it is a favorite gemstone among gemstone collectors. However apatite gemstone can be used in protected jewellery designs including earrings, pendants, pins, cuff-links. Apatite gemstone is rarely used in ring designs and its use should be limited to occasional wear and protective-style settings.Shop from our amazon powered store here or directly shop from amazon.com for apatite gemstones here. There is no known treatment for apatite. However in at least one reference it has been suggested that it is possible to coat the gemstone with polymers, such as Opticon, to improve the durability and surface uniformity of highly fractured pieces. Apatite is very sensitive to high temperatures therefore; the gemstone should not be cleaned insteam cleaners. Ultrasonic cleaning also can harm apatite gemstone especially if the solution is very hot. Using soft and warm, soapy water is the best way to clean apatite gemstone. As apatite is extremely fragile and very soft gemstone it should be stored separately from other gemstones. For the same reason apatite gemstone cannot stand up to day-to-day wear. Sleeping in apatite-set earring should be avoided as the rough fabrics could cause a loss of polish over time. Apatite gemstone should not come into contact with hair care products such as permanent lotions and hair dyes. 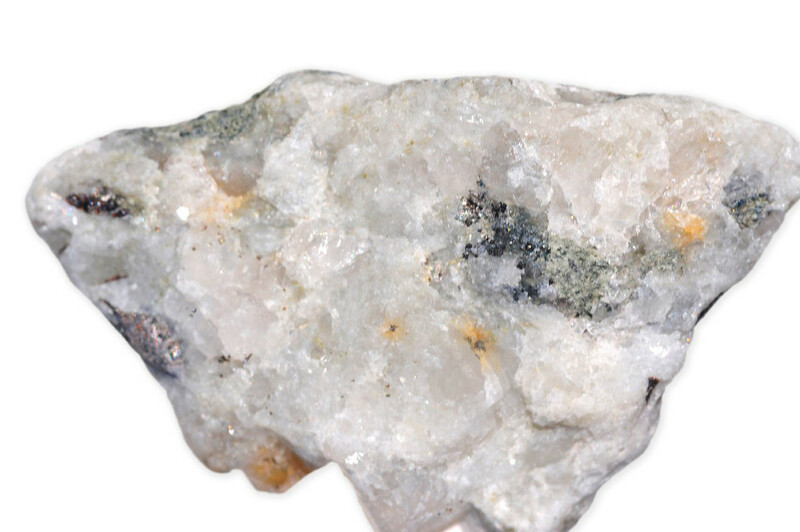 Apatite is a main source of phosphorus. Therefore, the stones that are not attractive enough to make jewellery are used to extract phosphorus. Phosphorus is extracted by heating the minerals by heating the minerals wit Coak and silicon dioxide at temperatures of 302F. Phosphorus is used in alloys, pesticides, and matches.